A survey of shoppers in Surrey, conducted by A-Plan, the high street insurance broker, with branches in Guildford, Woking, Farnham and Camberley, reveals that the majority of residents (82%) favour the advice provided by local shop-keepers and business owners over national chains; with 58% seeking professional advice from staff before making a purchase. With the majority of people spending up to £40 per visit and over a third choosing to shop locally to support independent retailers, it’s apparent that Surrey shoppers are fans of their local high street. In fact, 77% prefer shopping locally to online. However, despite the clear support for local retailers, 24% cite insufficient or costly parking as prohibitive reasons for not visiting their high street. And 87% believe their town needs more independent shops: over half (54%) of respondents would like to see more greengrocers and butchers serving local people. Lottie Harding, branch manager at A-Plan in Guildford, explained: “As a business that is focused on delivering a personal service to local people, we wanted to gauge exactly how much people value the expertise provided by their local retailers and businesses. It’s almost 30 years since the world-wide-web was created and 24 years since the first online shop, yet despite the huge level of convenience the internet has brought us, it is clear from the survey results, that we still need and value human interaction and advice. With 82% of people concerned their high street is losing its identity to impersonal national chains; 43% claiming their local shop-keepers know them well; and 79% preferring transacting in person rather than online, it’s clear the people of Surrey have a definite need for local, independent experts providing a personable service to local people. 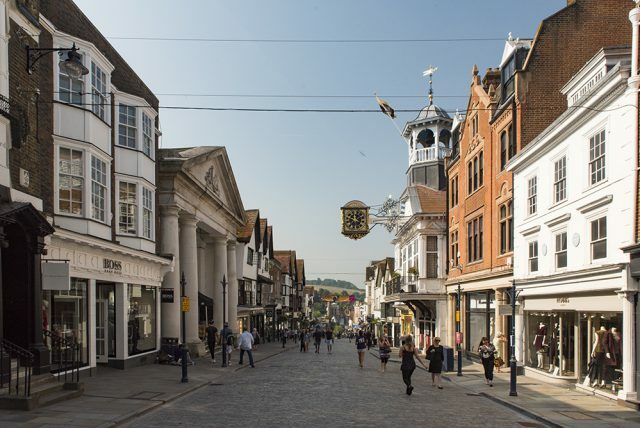 Survey of 350 high street shoppers in Surrey conducted January 2018. 77% prefer shopping locally to online. 82% trust the advice provided by local shops/businesses over national chains. 58% seek advice from staff before making a purchase. 90% enjoy talking to staff in their local shops. 87% believe their high streets need more independent shops. 79% prefer face-to-face transactions to online. ← A-Plan Northampton Wins Mystery Shopper Award for Outstanding Customer Service.